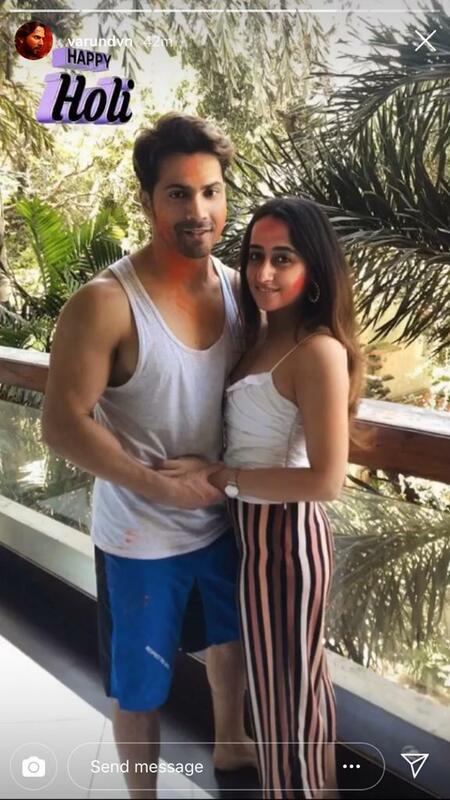 Yesterday on the eve of Holi whole B-town was seen enjoying whether it was at DJ Snake’s concert or Zoom Fest or Shabana Azmi’s birthday bash everyone was in happy mode but our eyes were glued to this two lovebirds of B-town that is Varun Dhawan-Natasha Dalal and the talk of the town couple Farhan Akhtar-Shibani Dandekar. Varun who is busy shooting in London for Remo Dsouza's directorial film Street Dance landed few days ago to celebrate the festival with his family and his girlfriend. On Holi Varun and Natasha were seen enjoying each others company they played Holi with each other and with family only. Varun took to his Instagram and posted few pictures on his story. Both of them were simply dressed on the eve Varun was seen in white ganji with blue shorts whereas Natasha was seen in white tank top with striped trousers. 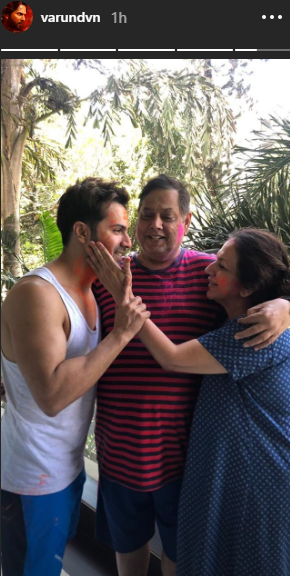 Not just Varun and Natasha but also Farhan and Shibani were also seen enjoying each others company for them it was a double occasion as it was not just Holi but also birthday of his step-mother Shabana Azmi. At the event we saw Mahima Chaudhary with her daughter, Priyanka Chopra’s mother Madhu Chopra, including others. On the other functions that was also held in Mumbai, talking about Zoom Fest Katrina Kaif was seen gracing the fest along with Arjun Kanungo. At the fest we saw Mard Ko Dard Nahi Hota stars Abhimanyu Dassani and Radhika Madan, we also saw Malika Dua, Richa Chadha among others. Whereas at DJ Snakes concert we saw Norah Fatehi gracing the show while Jacqueline Fernandez was also seen arriving at the Sunburn Burn Festival.